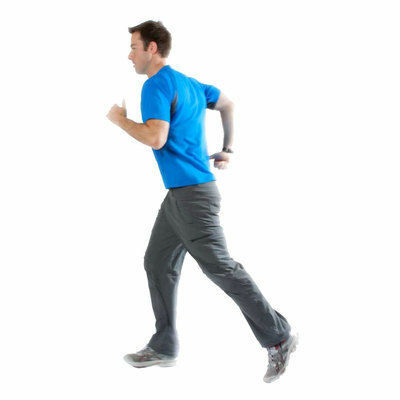 In a forward left lunge, place hands on either side of your left foot as if you're preparing to take off in a race. Your hip flexors are stretched by keeping the toe of the trailing leg pointed down. For added balance, place both hands on your front bent knee.